This module allows you to easily add events to a calendar which will be displayed on your website. This is an especially useful tool for schools, sport clubs and other organizations having regular events or functions. This module allows you to have important announcements scrolling on your website in a prominent place for all website visitors to see. This module allows you to advertise specials and promotions on your products and services which will attract more traffic from serious potential customers to your website. Keep your stakeholders informed with regular newsletters. Use the free emailing system to distribute newsletters to your subscribed mailing list. An auto responder which automatically sends out newsletters at regular pre selected intervals can also be activated. Newsletters are a very effective tool for improving website rankings as it is an important tool to add your own important, original, content to your website, thereby improving search engine results. You can have many different albums on your Kwikwap Website. Each album and photograph can have its own description. There is no limit to the number of photographs you may add. You may add Documents and/or Brochures to your Kwikwap website which will be available for download. You will also be able to email individual documents from your website to potential clients, using only your cell phone. You can use the forms and survey module to collect data from clients and other stakeholders. This module allows the website owner to create their own online forms and surveys. 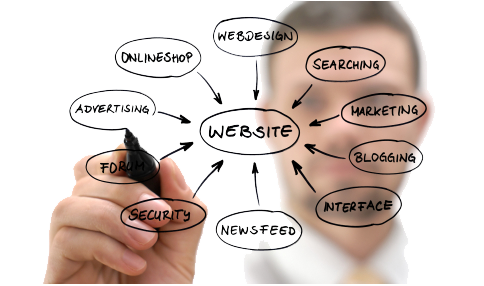 The online forms can be allocated to various pages of the website or it can be a normal link on your website. You can activate a Frequently Asked Question section on your website which will help you improve search engine results and also will give useful information to your website visitors. Potential clients can also ask you questions which is not answered by FAQ's. This module allows you to sell your items online quickly and easily. You have the option of using various payment gateways which our system has direct access to. They include PayPaql, PayU and PayFast. Sell your goods online now! You can have 15 custom pages on your website. Custom Pages will have a link on the home page. On custom pages you can embed videos, add an I Frame (Place another website on your website.) or add an RSS Feed to your website. Your Kwikwap Consultant will explain this in detail to you. You can have a member's only area on your Kwikwap Website. You can limit certain sections of your website to members only. You can store confidential information in the member section and limit certain areas of your website like the forum to members only. Sell tickets to a concert, school events, fund raising raffles, you name it! The 3 Level product module costs R150+VAT extra per month (in addition to your normal monthly subscription). You can test the 3 level system for free for a month where after you will be billed an extra R150+VAT per month should you wish to continue using it. The 3 Level Additional Pages module costs R150+VAT extra per month (in addition to your normal monthly subscription). You can test the 3 level system for free for a month where after you will be billed an extra R150+VAT per month should you wish to continue using it. Adds a searchable database to your website where your clients can search for a specific number / word( student number) and get information unique to that number / word that will be displayed in a table. eg.Search School Marks by student name or student number. The Additional Pages works the same as your Products & Services. You will be able to add pages to your website and then allocate them to groups. This is useful for the companies who have to separate categories of items they offer to their clients. You can now create a Directory on your website with as many categories as you like. We have completely revamped the Forum Module to meet industry requirements. This allows you to better categorize content on your site by using the "Boards" feature. Instead of having all your forum threads on one page, you can now create "Boards" as categories for your visitors! 1. Boards - allows you to create categories, where your visitor can then view topics/threads by that category. This allows you to create a "Feedback" category where visitors can supply feedback to your website, or a "Suggestions" category where people can submit suggestions. 2. Sticky Topics - Ever wanted important notices at the very top of the forum category? Now you can with sticky topics! This will place the topic at the top of the Board, allowing people to see those first, this is beneficial if you want to give "Tips on how to submit feedback". 3. Lock Topics - Instead of hiding the topic, you can now lock it. Once a topic is locked, no one can reply to it, but can still view it! Here you can list Jobs available in the market place by category. Clients can also list themselves as Job seekers. The module is fully interactive and allows clients to apply for jobs online and includes a CV upload facility. Here you can add a menu item to your website which adds an "Apply for a loan now" link which enables an electronic application form. The application forms are intelligent in the sense that it checks the ID number for validity and returns different questions depending on the preceding questions. The completed application forms will then be emailed to your email address. A Sample of the application form can be viewed here. You can also try out the system by clicking here. Here you can add a menu item to your website which adds a "Book Appointment" link which enables an appointment booking form. The user is able to select from available times via a calendar. The completed appointment booking forms will then be emailed to a specified email address and can also send an SMS to your cellnumber. This module allows an Estate Agent to add up to 999 properties (with six (12) pictures per property) to their website, with a quick and easy uploading facility. Once enabled you will be assigned a unique Estate Agent Code. Each property is assigned a unique Property Code based off your Estate Agent Code. This unique Property Code can be SMS'd to 37995 and an SMS will be sent to the sender with a link to the Property Listing, matching the unique Property Code, on your website. Standard SMS rates, including free SMS's, apply. For example, if your assigned Estate Agent Code is AX and your Property Code is AX21, then clients must SMS AX21 to 37995 and they will receive a link to that property on your website. Estate Agents can e.g. put a sticker with the following message on their boards : "SMS the code AX21 to 37995 to receive more info". This module allows an Auto Dealer to add up to 999 vehicles (with six (6) pictures per vehicle) to their website, with a quick and easy uploading facility. Once enabled you will be assigned a unique Auto Dealer Code. Each vehicle is assigned a unique Vehicle Code based off your Auto Dealer Code. This unique Vehicle Code can be SMS'd to 37995 and an SMS will be sent to the sender with a link to the Vehicle Listing, matching the unique Vehicle Code, on your website. Standard SMS rates, including free SMS's, apply. For example, if your assigned Auto Dealer Code is CBY and your Vehicle Code is CBY21, then clients must SMS CBY21 to 37995 and they will receive a link to that Vehicle on your website. Auto Dealers can e.g. put a sticker with the following message on their vehicles : "SMS the code CBY21 to 37995 to receive more info.". This module allows an Caravan Dealer to add up to 999 caravans (with six (6) pictures per caravan) to their website, with a quick and easy uploading facility. Once enabled you will be assigned a unique Caravan Dealer Code. Each vehicle is assigned a unique Caranan Code based off your Caravan Dealer Code. This unique Caravan Code can be SMS'd to 37995 and an SMS will be sent to the sender with a link to the Caravan Listing, matching the unique Caravan Code, on your website. Standard SMS rates, including free SMS's, apply. For example, if your assigned Caravan Dealer Code is CBY and your Caravan Code is CBY21, then clients must SMS CBY21 to 37995 and they will receive a link to that Caravan on your website. Caravan Dealers can e.g. put a sticker with the following message on their Caravans: "SMS the code CBY21 to 082699992 to receive more info. Free SMS's apply". This module allows a Motorcycle Dealer to add up to 999 motorcycles (with six (6) pictures per bike) to their website, with a quick and easy uploading facility. Once enabled you will be assigned a unique Motorcycle Dealer Code. Each motorcycle is assigned a unique Motorcycle Code based off your Motorcycle Dealer Code. This unique Motorcycle Code can be SMS'd to 37995 and an SMS will be sent to the sender with a link to the Motorcycle Listing, matching the unique Motorcycle Code, on your website. Standard SMS rates, including free SMS's, apply. For example, if your assigned Motorcycle Dealer Code is BFG and your Motorcycle Code is BFG46, then clients must SMS BFG46 to 37995 and they will receive a link to that Motorcycle on your website. Motorcycle Dealers can e.g. put a sticker with the following message on their bikes : "SMS the code BFG46 to 082699992 to receive more info. Free SMS's apply". This module allows a Boat Dealer to add up to 999 boats (with six (6) pictures per boat) to their website, with a quick and easy uploading facility. Once enabled you will be assigned a unique Boat Dealer Code. Each Boat is assigned a unique Boat Code based off your Boat Dealer Code. This unique Boat Code can be SMS'd to 37995 and an SMS will be sent to the sender with a link to the Boat Listing, matching the unique Boat Code, on your website. Standard SMS rates, including free SMS's, apply. For example, if your assigned Boat Dealer Code is BFG and your Boat Code is BFG46, then clients must SMS BFG46 to 37995 and they will receive a link to that Boat on your website. Boat Dealers can e.g. put a sticker with the following message on their Boat : "SMS the code BFG46 to 082699992 to receive more info. Free SMS's apply". The accommodation booking area allows you to list your establishment /Rooms etc on the website with a live calendar of bookings and a booking form. The system also allows clients to book and pay for accommodation straight away making business easier for you and the client. This area allows you to send out monthly newsletters, bulk sms's and even set birthday sms's to be sent via our system. The area allows CSV file uploads which makes sending information as easy as a click on a button. With this module you can have rotating images on your website which will display on ever page. Very handy to have some great graphics displayed across your site. Digital downloads module allows you to sell (or give away) digital files such as music, software, books etc. The file limit is 100meg which is suitable for most purposes. You have a choice to make the digital file available for free or to charge people whatever you want (we take no cut). It is important to know that if you want to use this module to sell files you will need to activate the Ecommerce module (Level 3 and 4 clients). Buyers can pay via EFT, credit card or Paypal. Please take note that we use sophisticated methods to make sure that the download link can only be used once so there is no need to worry about people distributing the link to everyone. Using the Kwikwap Hovering Sidebar you can add links to the left of your Website where you can link to multiple places.You can also create links to your Facebook Page, Twitter Account or show a Tab for your Contact Details. This module allows an advertiser to add up to 999 ads (with six (6) pictures per ad) to their website, with a quick and easy uploading facility. This module allows a Tractor Dealer to add up to 999 tractors (with six (6) pictures per tractor) to their website, with a quick and easy uploading facility. Once enabled you will be assigned a unique Tractor Dealer Code. Each tractoris assigned a unique Tractor Code based off your Tractor Dealer Code. This unique Tractor Code can be SMS'd to 37995 and an SMS will be sent to the sender with a link to the Tractor Listing, matching the unique Tractor Code, on your website. Standard SMS rates, including free SMS's, apply. For example, if your assigned Tractor Dealer Code is BFG and your Tractor Code is BFG46, then clients must SMS BFG46 to 37995 and they will receive a link to that Tractor on your website. Tractor Dealers can e.g. put a sticker with the following message on their Tractor : "SMS the code BFG46 to 082699992 to receive more info. Free SMS's apply". The Alternate Pages works the same as your Products & Services. You will be able to add pages to your website and then allocate them to groups. This is useful for the companies who have to seperate categories of items they offer to their clients. The 3 Level Alternate Pages module costs R150+VAT extra per month (in addition to your normal monthly subscription). You can test the 3 level system for free for a month where after you will be billed an extra R150+VAT per month should you wish to continue using it. You can create Links to outside websites and even potentially sell advertising spots on this page. It is a good place to link to suppliers that your clients could benefit from. This module allows an Rental Estate Agent to add up to 999 properties (with six (12) pictures per property) to their website, with a quick and easy uploading facility. Once enabled you will be assigned a unique Rental Estate Agent Code. Each property is assigned a unique Property Code based off your Rental Estate Agent Code. This unique Property Code can be SMS'd to 37995 and an SMS will be sent to the sender with a link to the Property Listing, matching the unique Property Code, on your website. Standard SMS rates, including free SMS's, apply. For example, if your assigned Rental Estate Agent Code is AX and your Property Code is AX21, then clients must SMS AX21 to 37995 and they will receive a link to that property on your website. Rental Estate Agents can e.g. put a sticker with the following message on their boards : "SMS the code AX21 to 37995 to receive more info". This module allows you to build individual one page websites for clients inside your own website. With this module you can share your videos that you have uploaded to youtube. It is very easy to use and the videos can be set to different categories. This modules is very versatile. You can create your own custom fields as well as add images etc. Use this module to create a custom area for your clients. The 3 Level Business Listing module costs R150 extra per month (in addition to your normal monthly subscription). This module allows your clients to add testimonials to your website. You can also thank them for their testimonials via this module. The Kwikweb SMS Reminder module allows you to send out text messages to cell phone numbers at a future date. You can send multiple messages to multiple cell phone numbers. You can choose the date, time and interval that the messages must be sent. This module can be used for any special occasions or reminders that you want to send to people. SMS's are charged at 25c each. Accommodation module which allows you to add listings with a calendar and booking form as well as online payments.